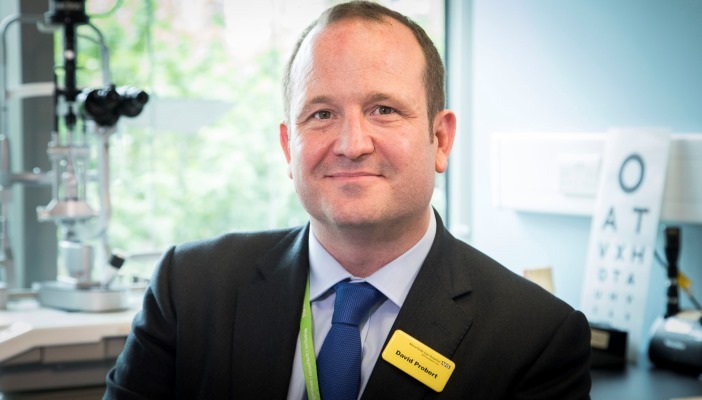 David Probert, chief executive at Moorfields Eye Hospital NHS Foundation Trust, has been appointed chairman of the World Association of Eye Hospitals (WAEH). David will lead the association for the next two years, taking over from Charity Wai, chief operating officer at the Singapore National Eye Centre. The announcement was made at the WAEH eleventh annual meeting, which was held from 14-17 June at the Tianjin Medical University Eye Hospital - the first time the meeting has been held in China. Since joining Moorfields in April 2016, David successfully led the trust to gain a rating of ‘Good’ from the Care Quality Commission, the independent regulator of all health and social care services in England, and accreditation for five further years as a National Institute for Health Research (NIHR) Biomedical Research Centre and Clinical Research Facility. He is the former director of strategic development at University College London Hospitals NHS Foundation Trust (UCLH) and has 18 years’ experience in healthcare management. The World Association of Eye Hospitals was established in Rotterdam in 2006. It was founded by eight eye hospitals as a platform for sharing knowledge and best practices between centres of excellence in ophthalmology. Today the WAEH has already expanded into a global association of more than 40 eye hospitals worldwide, connecting members across five continents to discuss the future of eye care. All members are focused on delivering the best and most safe ophthalmic care. Over the last three years as chairman, Charity Wai has been instrumental in growing the WAEH membership. She helped connect the association to eye hospitals in the United States, Central America and Asia.